If Jakarta is collectively known as the heart of the nation, Yogyakarta is, in essence, the soul of Indonesia. This underrated cultural capital brims with adventure and is the centre of classical Javanese fine art and culture. Known endearingly to locals as “Jogja”, the city also happens to be a goldmine of surreal natural landscapes juxtaposed against prominent historical landmarks. 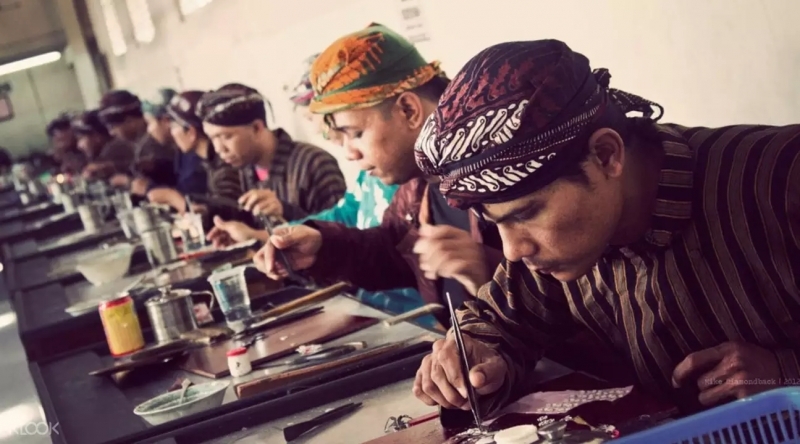 Whether you are scaling Indonesia’s most active stratovolcano or learning how to make your very own elaborate batik print, Yogyakarta is your one-stop destination to experience the best of both worlds. Endlessly appealing to the likes of tourists from all over the world, you will never get bored of this bustling city. Not sure how to plan your days and maximise your time there? Fret not, this 5D4N itinerary is chock-full of adventures (and will give you ample time to savour the enticing local cuisine). 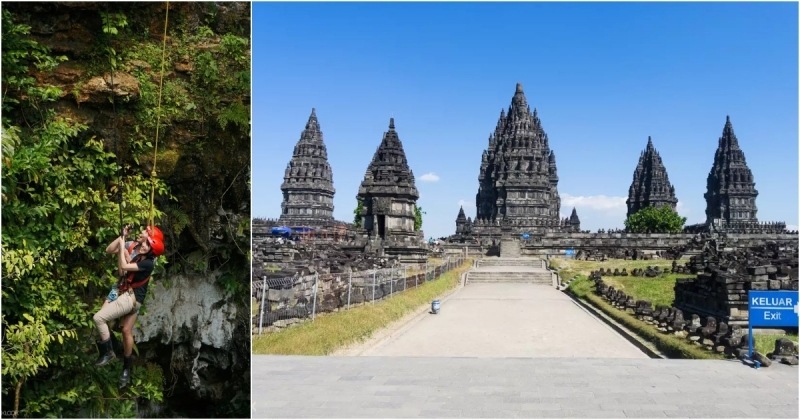 If you are craving for something novel and exciting, this cost-savvy trip guide is just what you need to experience the best of Yogyakarta – all without breaking your bank. Begin your exciting voyage around Yogyakarta with a pit-stop at the famous Timang Beach in the Gunungkidul region. Aside from boasting picturesque emerald-hued seas, Timang Beach is also home to the daredevil “wooden cable cart” that attracts throngs of eager tourists from all corners of the globe. 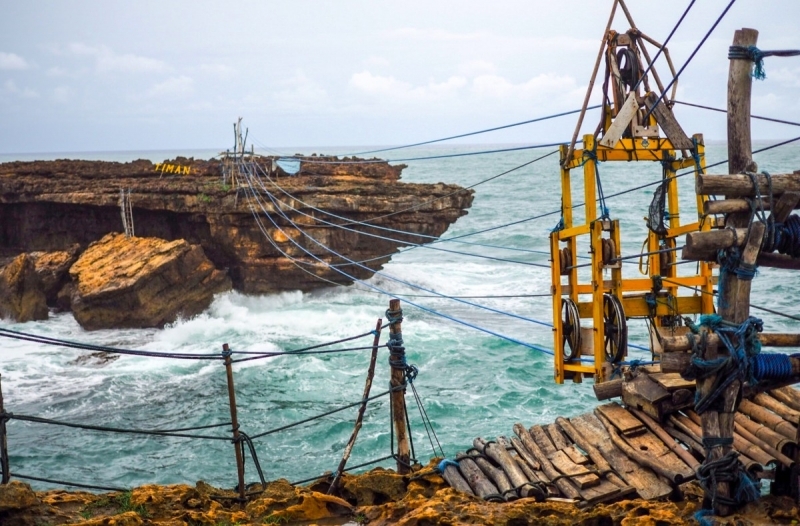 Attempt this one-of-a-kind wooden gondola ride to the rocky Watu Panjang Island, relying solely on ropes (not steel ones) that form an unconventional pulley system! Feel the adrenaline rush while your heart races as you dangle over the choppy waves and embrace the salty sea breeze. Hold your breath, this is one exhilarating ride you’ll never forget! Your reward: sweeping views of the stunning coastline that you cannot witness anywhere from land. How to get there: There is no public transport to the beach, so either go on a day tour or hire a local driver. You can also rent your own motorcycle. After lazing your first day away either basking in the sun rays or dipping in the refreshing waters, prepare for a gastronomic feast during your Yogyakarta Night Food Discovery in the heart of the city! Pamper your taste buds with authentic stellar highlights such as Nasi Gudeg (Yogyakarta’s representative dish! ), Bakmie, Nasi Campur and have the chance to sample exotic snacks too. Your funky ride for the night? 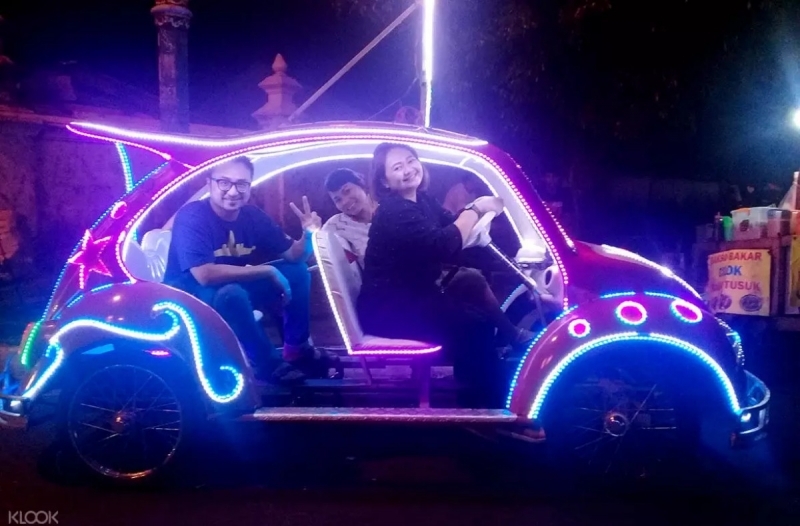 A neon-lit tuk-tuk will whizz you around to discover some of the best street stalls promising some lip-smacking Javanese cuisine. Sip on some traditional herbal drink while you’re deciding what dish to try next. Klook Pro-Tip: As you will be walking around a labyrinth of street stalls prior to the tuk-tuk ride, be sure to wear proper shoes and dress comfortably. It is best to avoid any painful blisters while indulging in food, glorious food! Ah, Borobudur! Synonymous to one of the greatest Buddhist temples in the world, this world-renowned UNESCO World Heritage Site is a feast for the eyes. 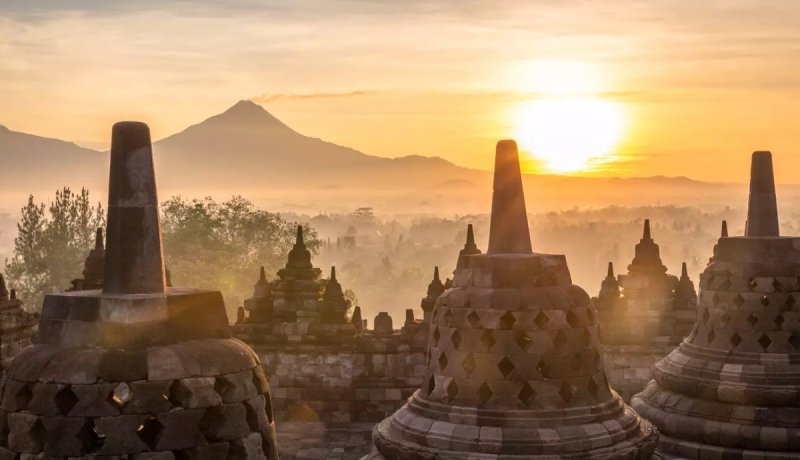 Tracing back to the age of warriors and kings during the 9th century, Borobudur Temple remains as a major pilgrimage site for Buddhists worldwide. This magnificent temple is home to over 2,500 panels and 504 Buddha statues, with 72 of them encircling the main central dome alone. The best way to view this stunning architectural masterpiece? 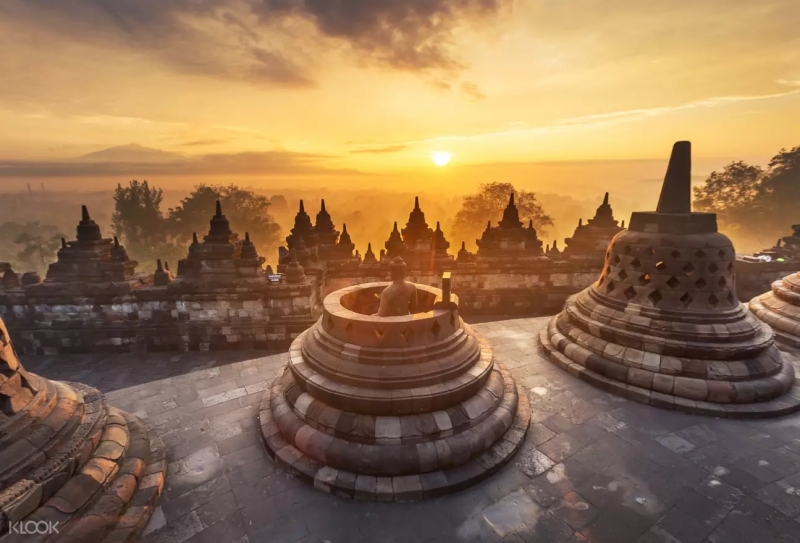 Embark on an informative Borobudur Sunrise Tour. Don’t let the pick-up timing in the wee hours of the morning deter you from making this trip! Skip the lengthy entrance ticket queues and enjoy a hassle-free time while you fully immerse yourself in the sights and sounds. Witness the spellbinding sunset when you arrive and watch the long, oblique rays radiate through the holes in the latticed stupa. Make sure your cameras are fully charged for this memorable trip, the panoramas are absolutely photo-worthy! Klook Pro-Tip: The best time to visit this iconic attraction will be in the morning to avoid maddening crowds. A sunrise tour will also let you revel in the astounding natural landscapes, especially in the presence of the early morning mist that envelopes the sacred grounds. What a breathtaking sight to behold! 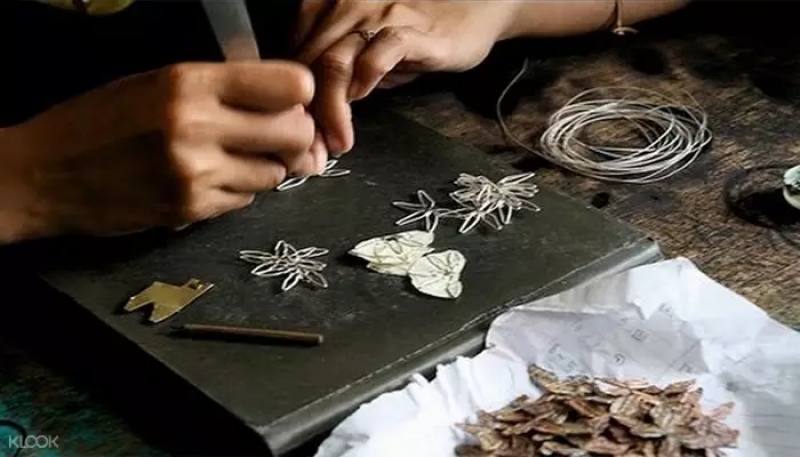 Continue your discovery of Yogyakarta through a special silversmithing workshop right in the heart of Yogyakarta’s silverwork hub: Kotagede. Witness for yourself how the intrinsic elements of Javanese culture are incorporated into simple yet elegant jewelry styles. Under the guidance of a professional, learn the ropes behind this meticulous process and create your very own masterpiece. Experience the entire procedure first-hand and be proud of the final product! You will learn how to forge, carve, solder and polish your own unique filigree creation. Klook Pro-Tip: There is no better place to learn more about this unique craft than in Kotagede, where silver trade has flourished since 1582. This neighbourhood has been an enclave for silversmiths and some of the finest silverware and jewelry are made here. Discover how this niche industry continues to thrive! The third day should entail all things adventurous and the most optimal way of maximising your time would be via your own private car charter! Explore Yogyakarta’s key attractions all at your own pace and comfortably of course. For a maximum party of five, you can head to as many places (up to ten hours on the road!) as you’d like for just S$8.40 a person! Your English-speaking driver will ensure that your safety is prioritised throughout the journey and may even offer valuable suggestions to ensure that you get the best out of your trip. Enjoy the convenience and dodge the hassle of taking public transportation which may leave you utterly lost and confused. First up, start bright and early and make a beeline to Goa Pindul for some heart-thumping cave tubing. 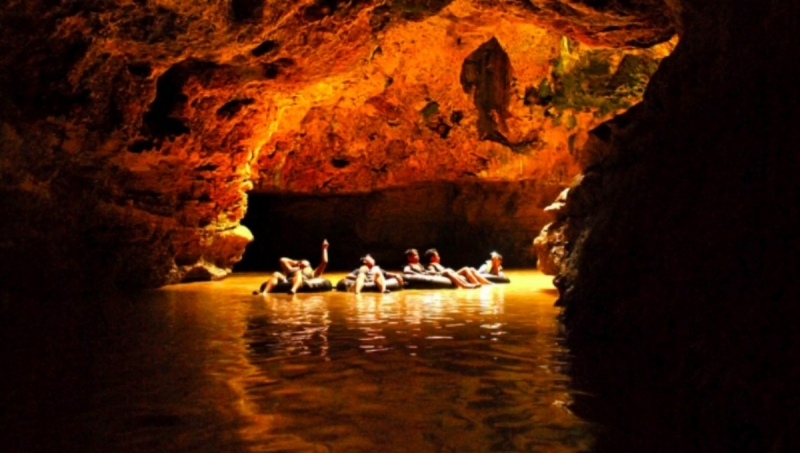 Instead of floating along the Lazy River found at any other ordinary waterpark, take your adventures up a notch and venture into the depths of this ancient cave. These underwater river caves are a sight to behold, especially the gorgeous natural stalactite and stalagmite formations that will leave your jaws hanging! The best time to navigate around the rivers would be in the morning when the water is calm and not too chilly. Don your life vest, helmets and rubber shoes and glide away. Continue your day with a well-deserved shopping spree around noon! 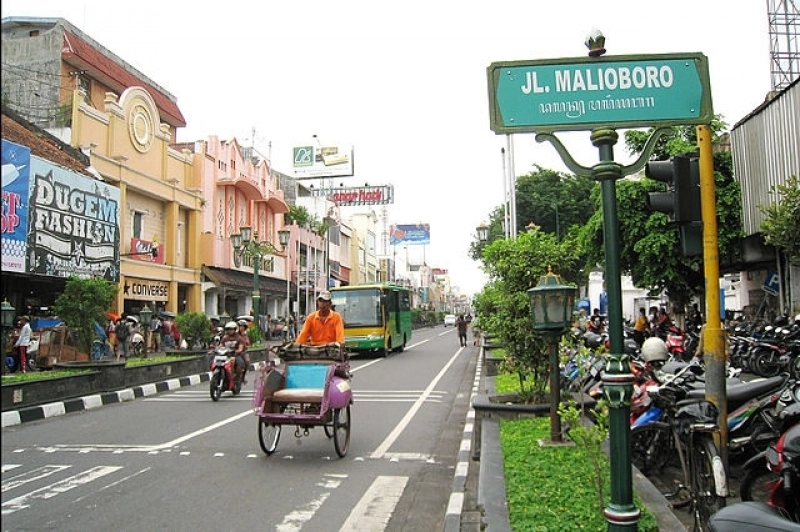 If you love basking in the local street market culture, Jalan Malioboro is THE place to be. Nab solid bargains when purchasing clothes, handicrafts, jewellery, knick-knacks and souvenirs for your loved ones back home. While you saunter around the main streets, bear in mind that bargaining is de rigueur here! Feeling peckish? Fret not, the dizzying array of street snacks will curb those hunger pangs right away! Go ahead and try the classic Onde-Onde (sesame-coated fried dough balls with green bean filling) or experiment with the Kue Putu (steamed rice flour cakes with coconuts and palm sugar). Be sure to bring some spare cash, it will indeed be difficult to resist those awesome deals! After satiating your shopping cravings and settling those hungry bellies, rendezvous with all things green and explore Kalibiru National Park! Hike through the dense rainforests and soak in the breathtaking natural landscapes all around. The most exhilarating part? Climbing up the numerous “photo spots” situated above the canopy layer, which make for a phenomenal vantage point. 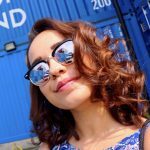 Dangle your legs and be left awestruck with brilliant panoramas that stretch out to Waduk Sermo Reservoir and Menoreh Hills. The photo opportunities are indeed endless! If you are game for some adrenaline rush instead, attempt the rock climbing challenge, thrilling tightrope walk or zip down an awesome flying fox ride. In the past, this vast tract of land was dry as a result of frequent burning and illegal lodging. An initiative by local citizens to restore this plot has resulted in a beautiful national park that boasts serene and tranquil vibes. 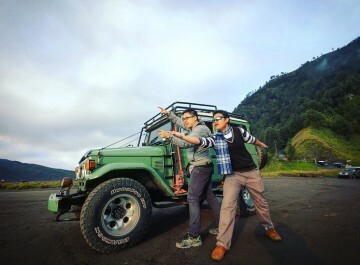 Garner a deeper appreciation for nature during your sojourn with Yogyakarta’s most eco-friendly adventure destination! Searching for an unconventional activity that you can cross off your bucket list? Sandboarding at Gumuk Pasir Parangkusumo would be it! Yes, you don’t have to spend hours flying to the deserts of Dubai or travel miles away bound for the Gobi Desert in Mongolia. An hour’s drive from Jalan Malioboro will lead you to Indonesia’s intriguing natural sand dunes. Grab this opportune chance to experience the thrills of sliding down giant mounds of sand and navigate your way around obstacles. You can liken sandboarding to similar activities such as skateboarding and snowboarding. The obvious difference: you’re sliding over sand instead. Did you notice that the sand has a tinge of grey? Fun Fact: studies have shown that the eruption of Mount Merapi had caused sediments and volcanic sand to be swept away by rivers into the South Coast, accounting for these greyish tones. Klook Pro-Tip: The key to a smooth ride down, without being stuck halfway, is to ensure that the surface of your sandboards is waxed! Let the instructor guide you and show you how this should be done. Rise early and ascend Indonesia’s most active volcano, Mount Merapi, that is situated between Central Java and Yogyakarta. Posing as one of the most dangerous volcanoes in the Pacific Ring of Fire, Mount Merapi has seen regular eruptions for more than 10,000 years and counting! After embracing the spellbinding sunrise views at Borobudur on day two, take on another perspective by marvelling at the sunrise from lofty Mount Merapi. The views are truly sublime and the hike makes for a spiritual adventure indeed. Those sore muscles and leg cramps will all be worth it when you see the crack of dawn from the summit. Don’t forget to snap that silhouette shot too! Klook Pro-Tip: The moderate hike takes about six to eight hours, depending on your fitness level. Remember to bring at least two litres of water, energy bars, torchlights, warm outerwear and proper shoes! How to get there: A guided tour is the most fuss-free and safest way up the summit. 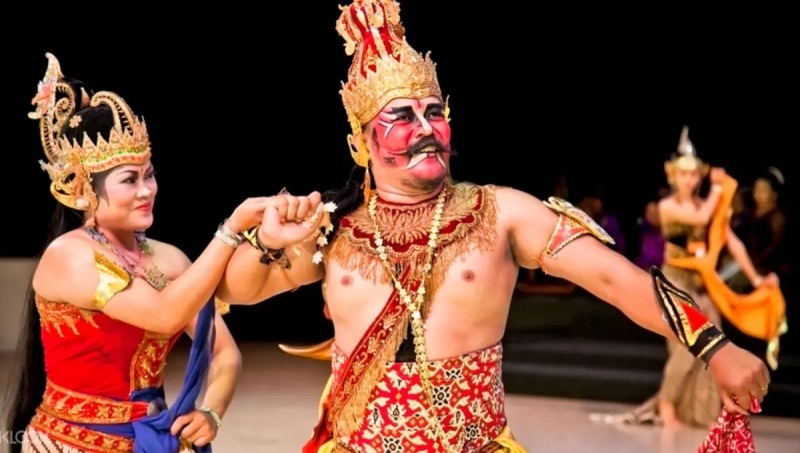 After a long, arduous day scaling majestic peaks and embracing adventure, be transported into a time of epic royal quests and legends during the age-old Ramayana Ballet Performance. Featuring Prambanan Temple as a magnificent backdrop, this two-hour performance encapsulates an enthralling story about Javanese culture and heritage. Involving a cast of over 200 actors and musicians, this dance-drama ballet offers a vivid theatrical and musical experience like no other, detailing the fascinating tale of Prince Rama. The elaborate costumes, live tribal music and intricate props add to the overall visual aesthetics too. The special package with Klook also includes an optional dinner buffet choice where you get to sample the best of exotic Indonesian cuisine. Yum! 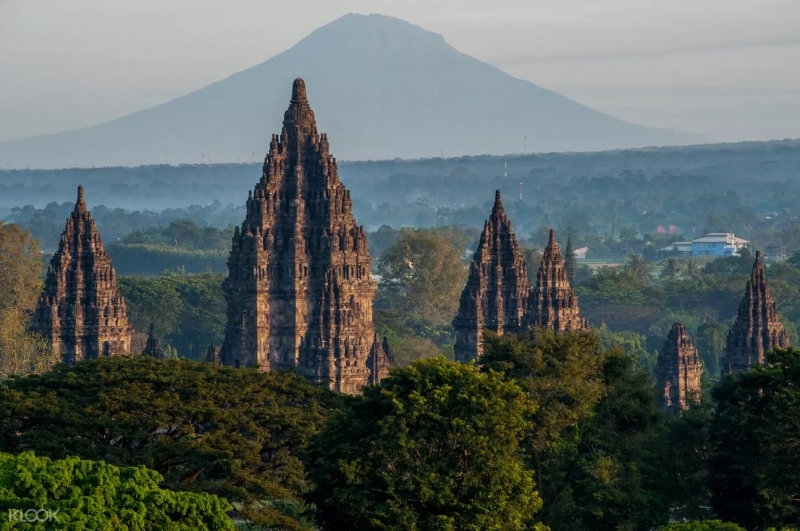 Embark on a full-day immersive tour to Jomblang Cave and Prambanan Temple on your penultimate day before flying home. Cue Jurassic Park where colossal trees, huge rocks and dense vegetation reign supreme! The Jomblang Cave is the doorway to an ancient underground forest which can be accessed only by abseiling some 80 metres down. As you rappel down into unknown territory, hang on to your safety harness and prepare for what you might see. Besides the rich flora and fauna, unique geological structures and thrilling abseiling activity, the most memorable highlight is the divine light effect when the sun rays seep in through the sinkhole’s roof. Watch how this mystical underground forest instantly illuminates! This makes for an enlightening experience indeed. Resembling mini pagodas, stand in awe as you witness the largest Hindu temple in all of Indonesia: Prambanan Temple. This towering 10th-century Hindu temple is another UNESCO World Heritage Site dedicated to Hindu deities namely Brahma, Vishnu and Shiva. The intriguing style and architecture of this majestic site trace back to typical architectural designs from ancient India. Take time to wander around the temple’s picturesque grounds and learn more about its rich history. If you are looking for a destination that is wallet-friendly, Yogyakarta makes for an apt choice! 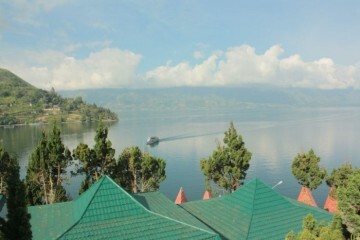 There are numerous daily budget flights from main cities such as Jakarta, Surabaya and Bali and even Kuala Lumpur. If travelling by train is more your style, hop on a regular train service between major cities and Yogyakarta. Walking is also a great (and penniless) way to soak in the sights and allows you to interact with the amicable locals. Alternatively, get around with a cool trishaw or tuk-tuk! Heading to a foreign destination for the first time can always be daunting. For first-timers, it might indeed be tricky to plan out what to do and where to go. Drown your concerns away and let Klook handle all the meticulous work. Their fuss-free tours are ideal and will give you a peace of mind throughout the trip. What are you waiting for? The incredible wonders of Yogyakarta await. Bookmark this itinerary and you’re all set for an epic adventure!